Tutu’s office had said he was in good spirits and hoped to go home in a few days. On Saturday, the foundation named after Tutu and his wife Leah wished him a “speedy” recovery. Others wishing Tutu well included David Makhura, a senior member of the ruling African National Congress party; Patricia de Lille, mayor of opposition-controlled Cape Town; and F.W. de Klerk, the last president during white minority rule, which ended in 1994. Tutu was awarded the Nobel Peace Prize in 1984 for his efforts to end apartheid and promote racial reconciliation in South Africa, and he has lent his moral stature to causes and campaigns around the world over the years. Last year, Tutu sharply criticized Myanmar’s leader, Aung San Suu Kyi, for her “silence” during the persecution of the Rohingya Muslim minority in the Southeast Asian country. 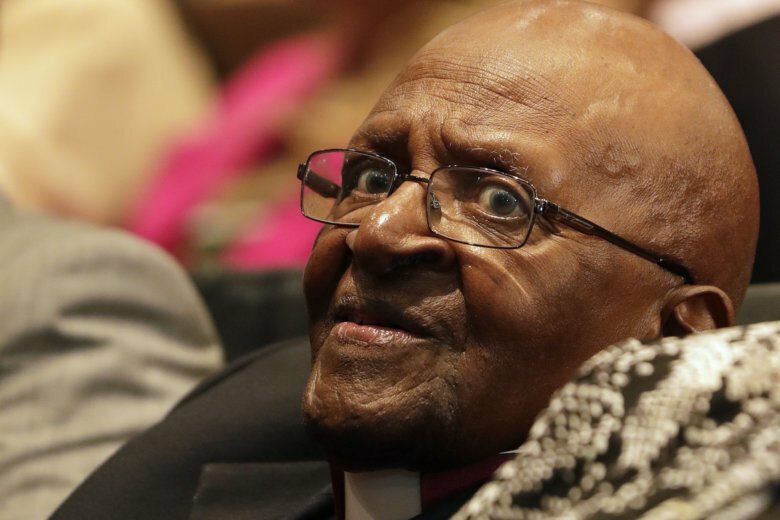 Also in 2017, Tutu appeared outside a retirement home where he and his wife were staying to show support for nationwide protests against Jacob Zuma, the scandal-tainted president who resigned in February. Tutu has criticized the ruling African National Congress party for alleged mismanagement over the years. Mandela praised his fellow anti-apartheid campaigner in a speech marking Tutu’s 75th birthday in 2006. “We know that he often anguishes about the moral state of our nation, wondering whether the values we thought we were struggling for are being abandoned now that we are politically free,” said Mandela, who died in 2013 at age 95. “Continue to be our voice of conscience,” Mandela said to Tutu.